The short course of the Dour makes it possible to follow the river from its source to the sea in a single day's walk. The river passes through pretty villages, the heart of modern Dover and reaches the sea at the Wellington Dock - a thriving yacht marina in Dovers newly redeveloped seafront. 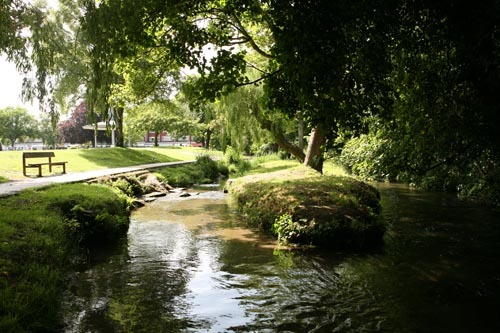 As part of the Discover the Dour Project we want to develop walks that not only follow the river, but explore the wider countryside around Dover and help local people and visitors to discover more about the history and ecology of the area. A system of QR smartcode waymarkers, which can be read with mobile phones, is planned for Discover the Dour. Using your phone you will be able to follow the route and find out more about the places you visit and the people who lived and worked there. Permissions to put up the signs is currently being requested from land owners and local authorities. Meanwhile, watch this page for downloadable walk routes and links to walk information.